Sometimes I go to check my email for a birthday or such. Not even 5 minutes later I find myself deep into writing my next posts or working on my blog. I think loads of bloggers know this problem. Probably everyone working from home has this problem sometimes. When your home is your workplace and your dinner table becomes your desk sometimes it can become hard to separate your life and your business. Should I separate the two? For many of us, our business is our passion and working can be fun. But sometimes business can overtake your life and relationships. I think it can be good to keep it apart on some levels. Just so you can take a step back when your business is overtaking. I don’t think they can ever be totally apart since work and personal life overlap all the time. But giving yourself boundaries can help you stay healthy and sane in your home business. One of the thing I really like to keep in mind are the difference between my business goals and my life goals. Yes, they might overlap on some points. But my life goals are definitely different from my business goals. Business goals are easier to take steps towards. Often you make business plans and you have a path in front of you. Taking some time to work on your life goals might help you not only in achieving those but also being a happier person in your business. For example; one of my life goals is connecting more with people. After I have hit some rough patches I know I have kept my distance from people a lot lately. I became almost scared of new people because they might hurt me or my friend. My goal in life is to work on my people skills because I know it will make me happier when I can connect with people without these worries. But in the back of my head, I also know it would help my business and networking a lot! This one I struggles with a lot. I kept working on the most strangest of times. Even when I had no deadlines I still would find myself working late or getting up earlier. I had a period where I would work for over an hour before breakfast. Needless to say, this is not the most healthy way of working and it doesn’t really help your productivity either. Plus, I am also ashamed to say I would work under family time and do movie nights with my laptop on my lap. (I still do sometimes). Separating my free time and my work time had been important, not only for my relationships and health but also for my art. Because painting can be so much fun I almost felt like it shouldn’t be considered work. Now that I have my work schedule in place. I can work on whatever art I want in my free time. This way I feel no pressure to make perfect work and I get to paint a lot more than before. I am all for being an independent woman but when I start working I start to loose time. It can be 3 hours later before I look at the time again. For me, other people reminding me to put down my work is one of the only ways I will stop on time. I am absolutely incredibly grateful to both my parents and boyfriend for just doing that sometimes. It is incredible how much of a workaholic blogging has turned me into. I think that that is mostly due to the fact that you work is never done. So it is important to plan your own times and breaks or you could be working forever. You can also use an alarm on your phone to remind you of your breaks. Or if you want to do it thoroughly you can shut yourself out from the sites you work on when your work time is over. 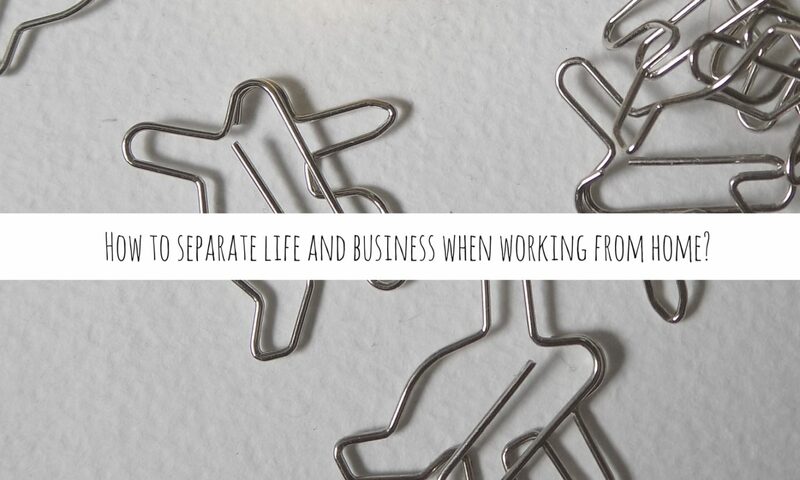 So those are my top tips for separating your life from your business. Did you have any problems with this and if so what is your favourite tip? Helpful tips! May have to try setting an alarm for breaks. It really helps you when you loose track of time! Thank you for reading, I am glad you liked it! Sofie, I SO agree with you that it’s important to separate work time from the rest of the day. Especially when you’re working from home, it’s too easy to get sidetracked unless there’s a structured schedule in place. Timed breaks for personal or household chores are great, as well as having a dedicated workspace, if possible, that’s not in view of pending tasks (like laundry or dishes!). I also struggle with this. 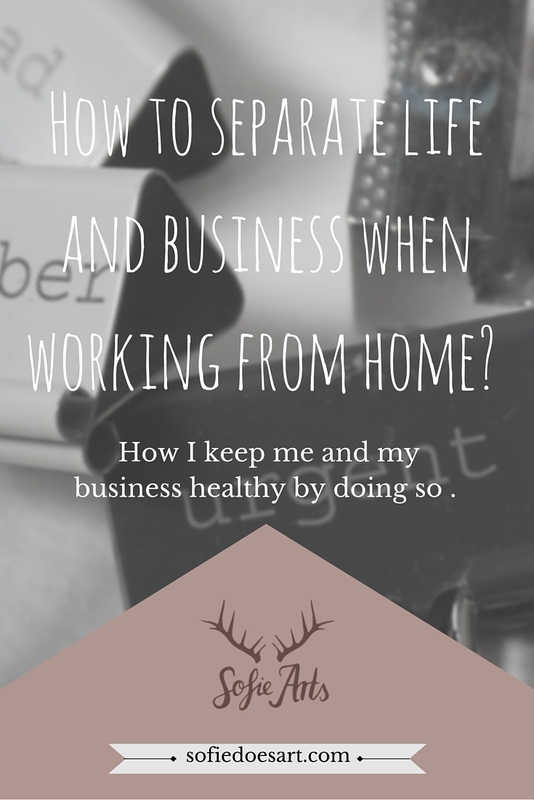 Although I work outside of the home as well, my blogging time tends to take over when I am home. I have tried to set hours for myself, but one of my challenges is that my husband is retired. That means he is at home most of the time and it is occasionally difficult for him to understand that not ALL my home time is HIS time. :-). Thanks for sharing this helpful post at the Blogger’s Pit Stop. Debbie recently posted…Learn about the new Twitter Changes on Media Fitness Coach! Great tips! I’m so guilty of working during family time!